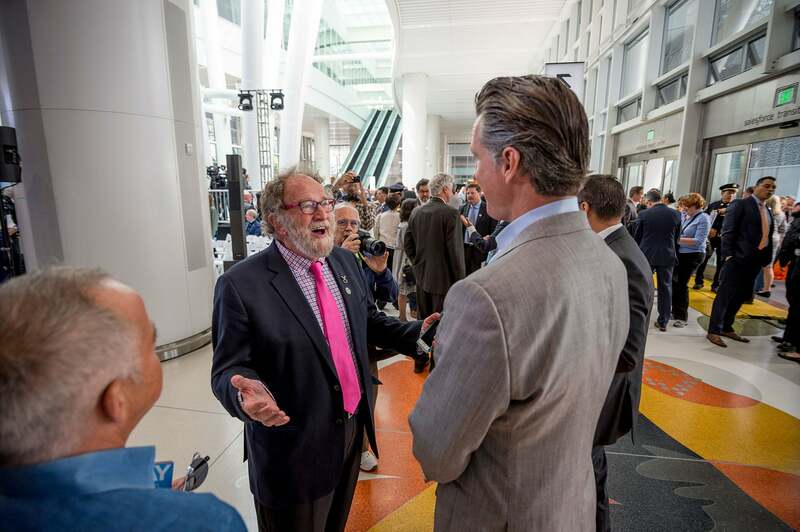 MTC Chair and Rohnert Park Councilmember Jake Mackenzie greets California Lieutenant Governor Gavin Newsom. 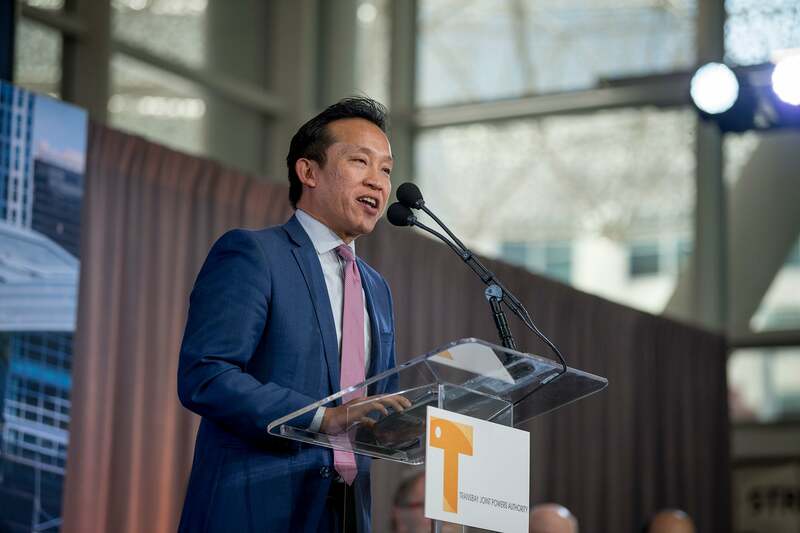 Mohammed Nuru, chair of the TJPA Board of Directors and Director of San Francisco Public Works, welcomed celebrants to the ribbon cutting. 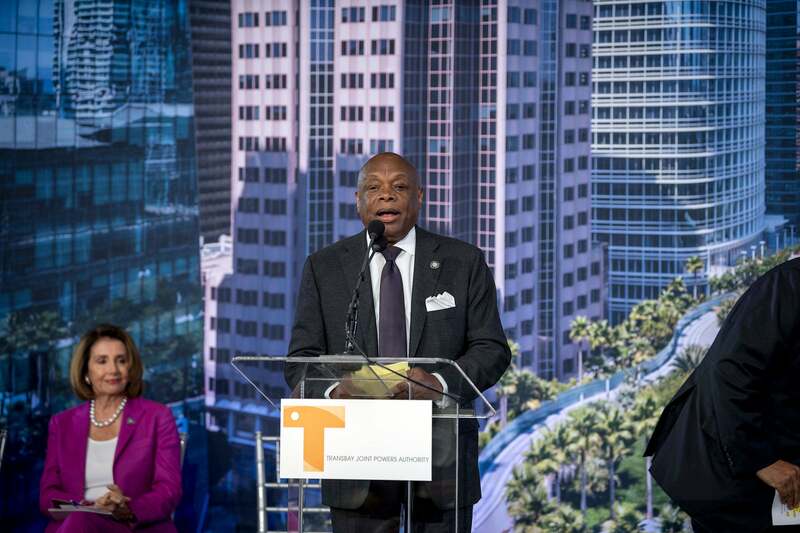 Former San Francisco Mayor Willie Brown acted as Master of Ceremonies. 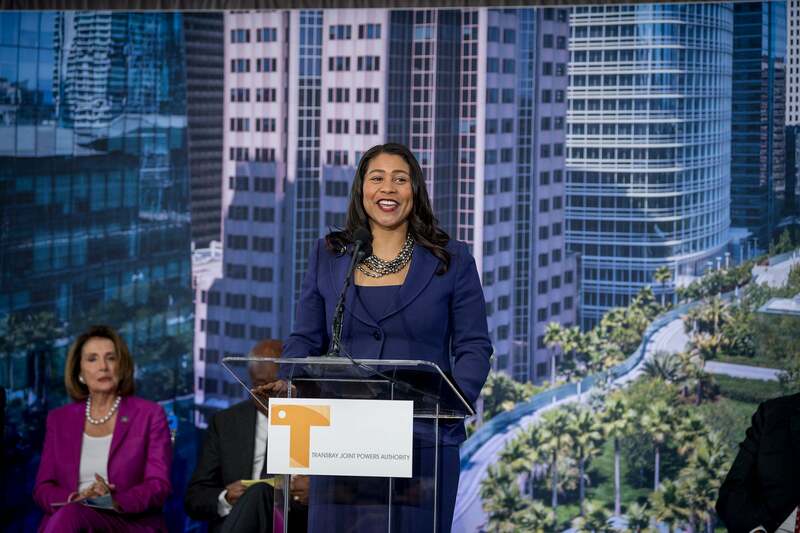 San Francisco Mayor London Breed gave the opening remarks. 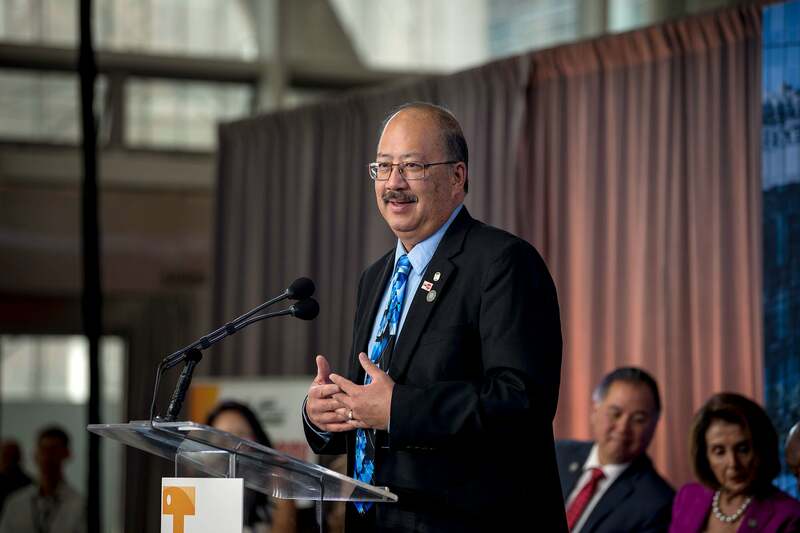 The featured speaker at the ribbon cutting was Hon. 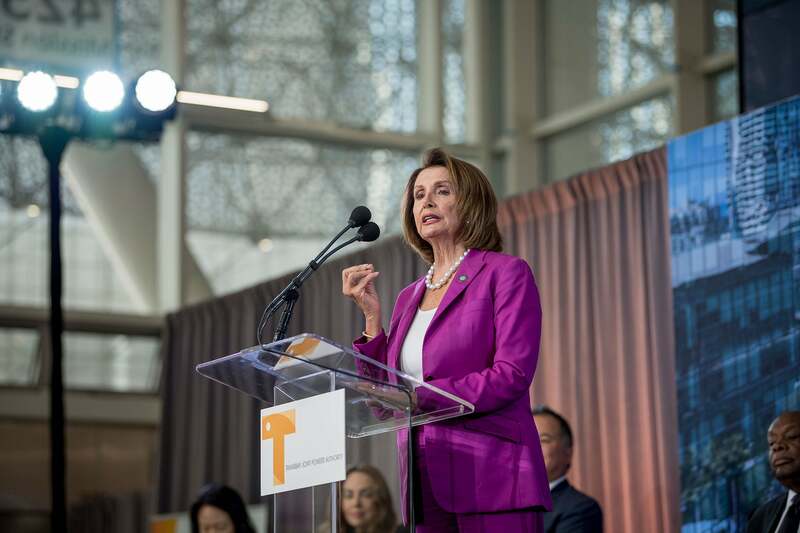 Nancy Pelosi, democratic leader of the U.S. House of Representatives. 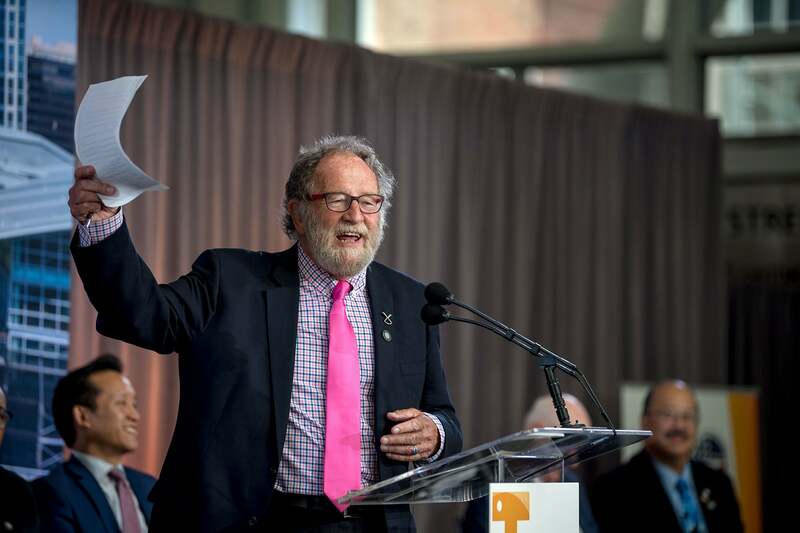 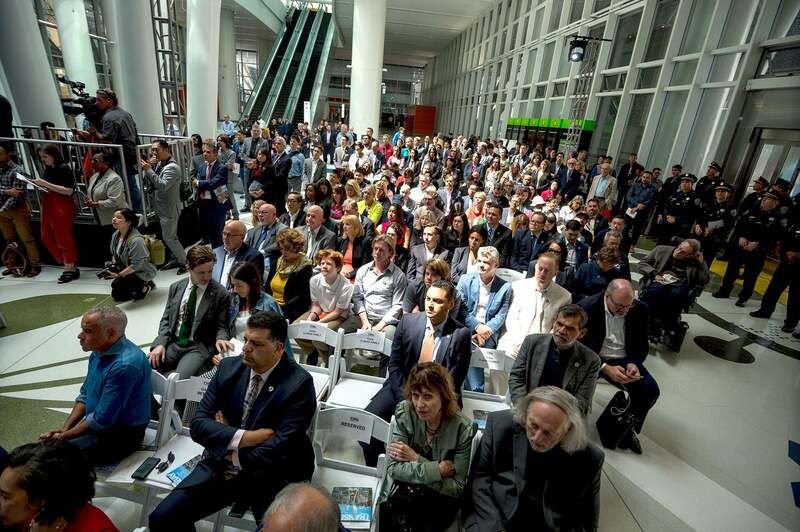 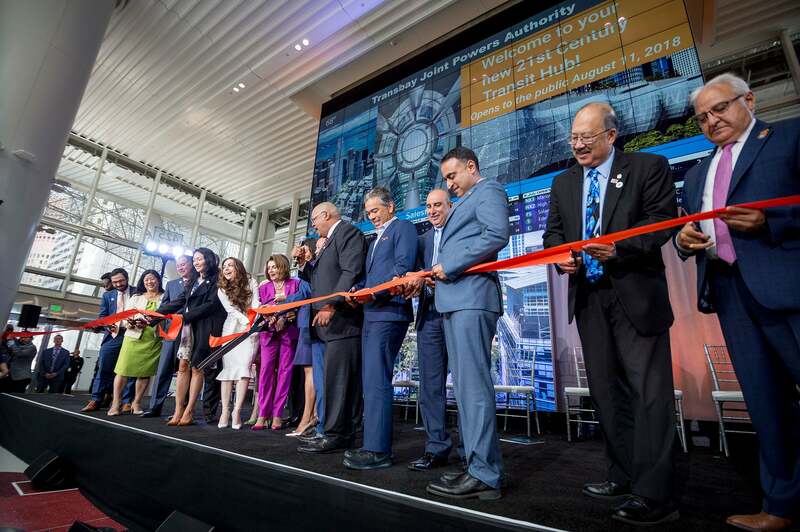 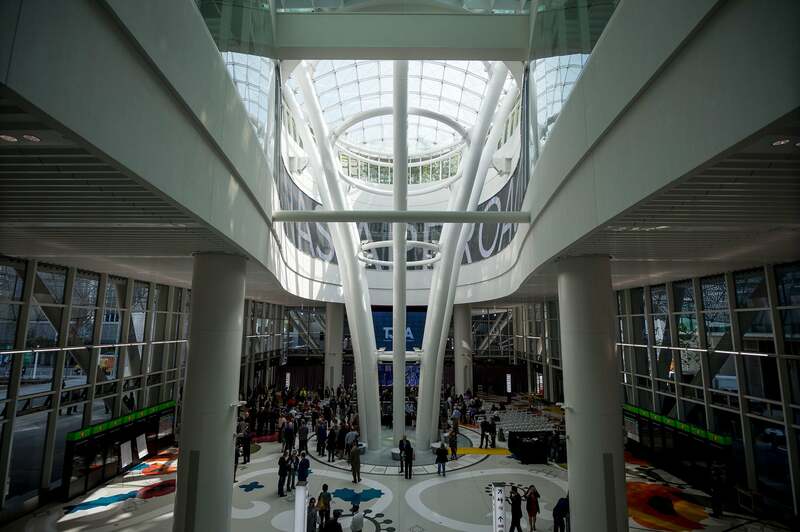 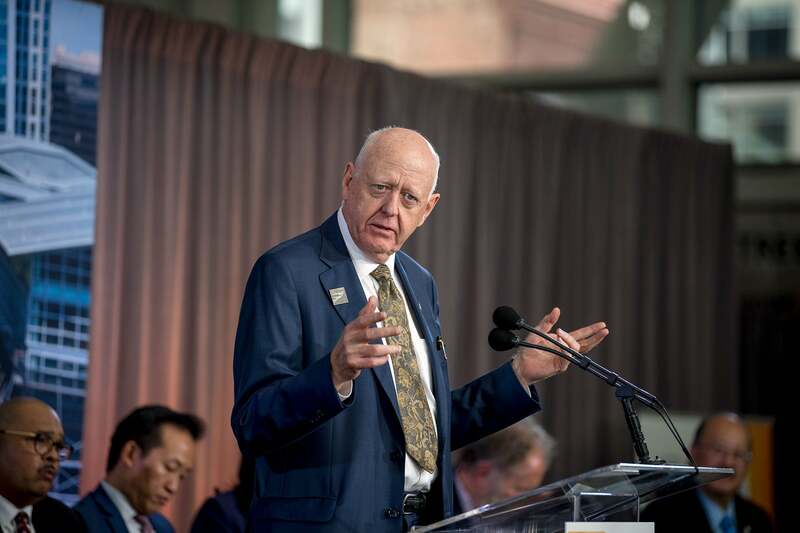 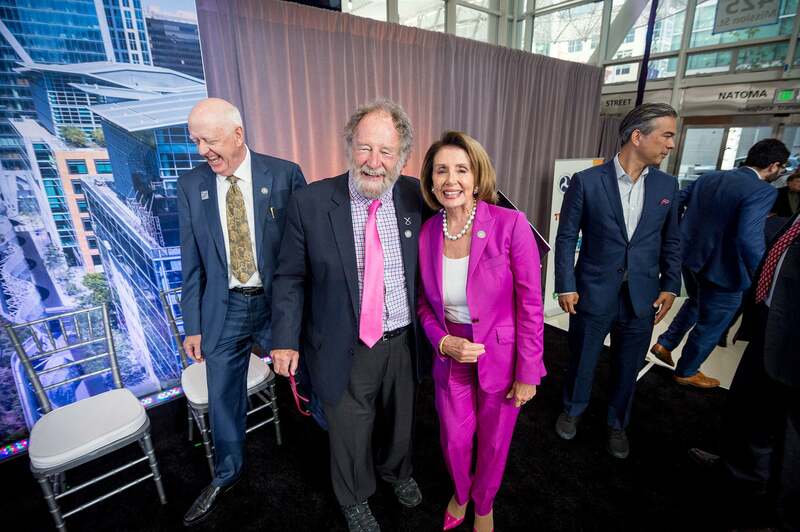 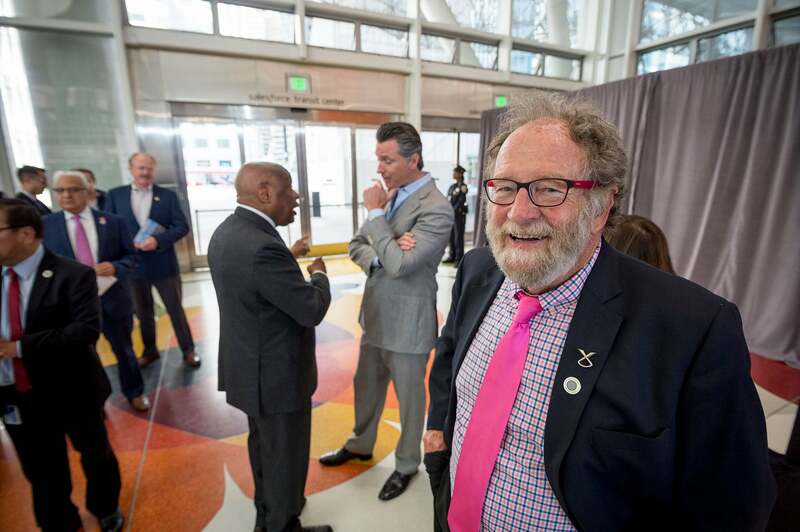 The Salesforce Transit Center celebrated its long-awaited Grand Opening on Friday, August 10, 2018. 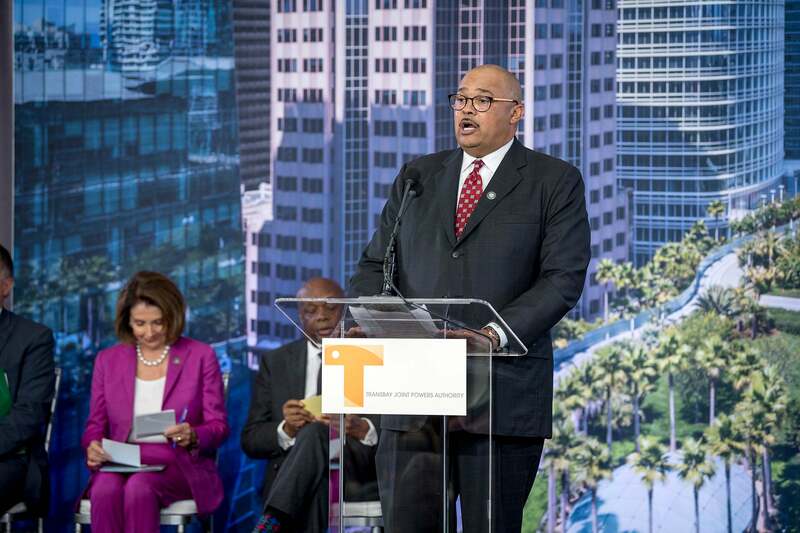 Former San Francisco Mayor Willie Brown acted as Master of Ceremonies for a ceremonial ribbon-cutting that welcomed a prestigious line-up of speakers to the Transit Center, including Rep. Nancy Pelosi, House Democratic Leader; San Francisco Mayor London Breed; and MTC Chair and Rohnert Park Councilmember Jake Mackenzie. 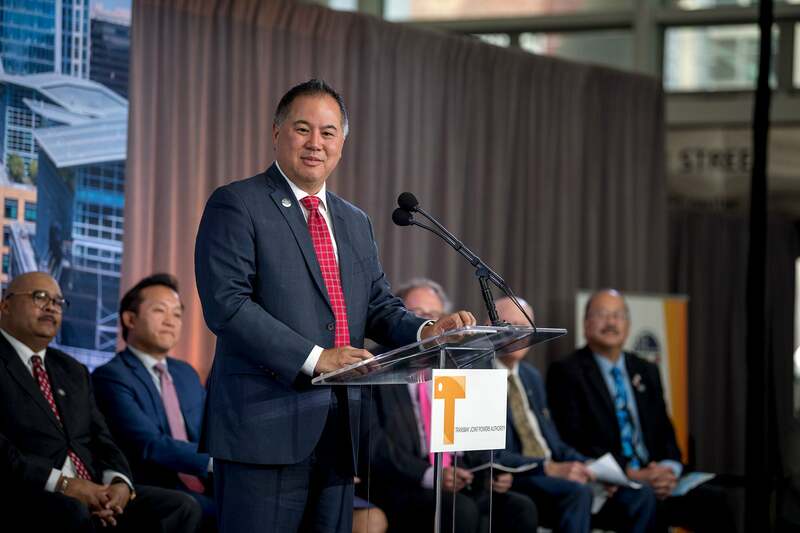 Also taking their turn at the dais were California assembly-members David Chiu (17th District) and Phil Ting (19th District), San Francisco Supervisor (and MTC Commissioner) Jane Kim, and representatives from the Transbay Joint Powers Authority, San Francisco Municipal Transportation Agency, AC Transit, and the Peninsula Corridor Joint Powers Board. 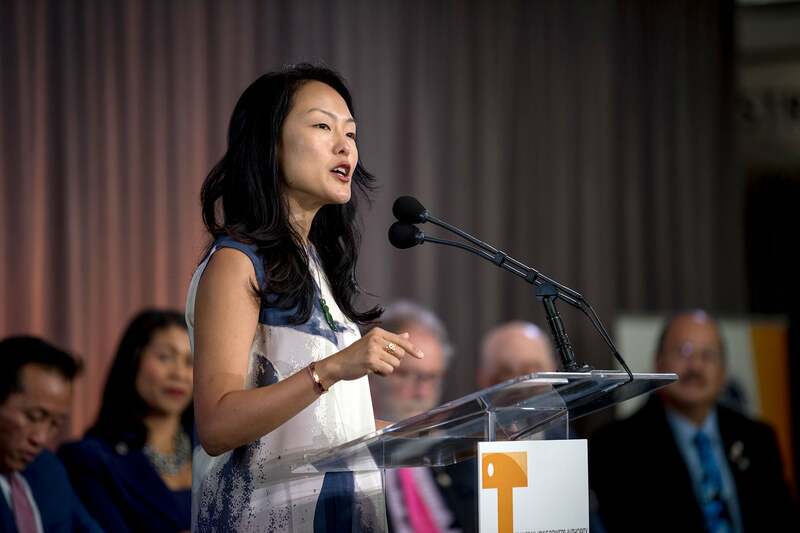 Even Lt. 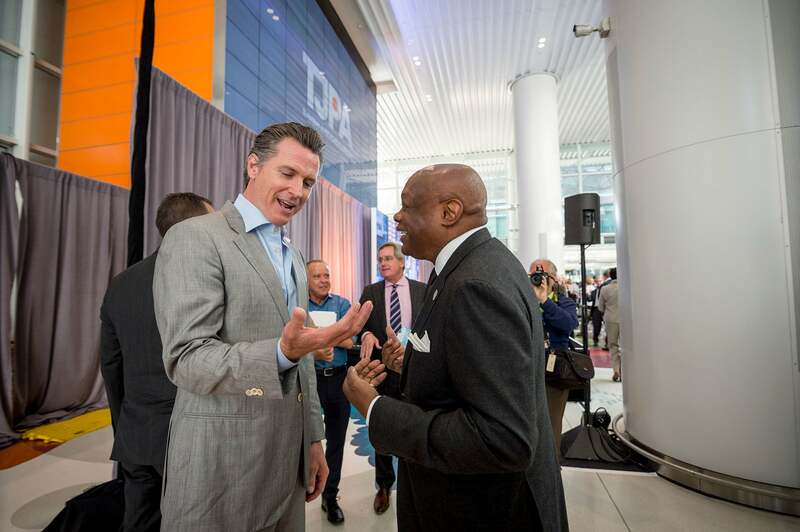 Governor Gavin Newsom made a brief appearance in the Grand Hall before the start of the program to congratulate project team members and colleagues.